The Leesa pillow is perfectly engineered for any sleeping style and features a micro-fibre outer fill, temperature regulating Outlast® and a memory foam middle for optimum cooling comfort and support. It took us years of development and hundreds of prototypes to engineer a pillow that always feels great. The pillow helps regulate your temperature and ensure you get a better night’s sleep. Contour cut performance foam for increased airflow surrounded by a micro-fibre filled pocket for added comfort. Outer cover is made of 100% cotton with an Outlast interior. Made with Outlast® technology developed for NASA. Together with the innovative airflow system in the memory foam layer, the Leesa pillow ensures you sleep cool and enjoy a better night’s sleep. 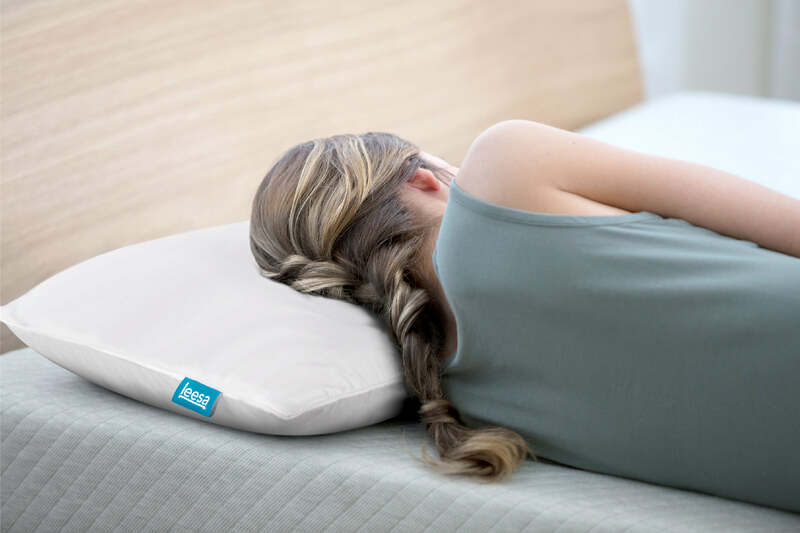 No matter your sleeping position, the Leesa pillow will keep your neck and spine aligned allowing you to wake up refreshed each morning. Forget fluffing – the Leesa pillow is the perfect combination of foam and fibre, ensuring a comfortable, supportive night’s sleep, whilst retaining its shape and structure. Our pillow fabric features an innovation in textiles called Outlast® that gives a chilling effect to one side of the pillow for a cool drift into sleep. The outer sides of the pillow feature a premium micro-fibre filling that provides a soft, cushioning feel on top of the supportive memory foam layer in the middle, offering optimum support and comfort for all styles of sleeper. Unlike traditional down filling, our micro-fibre filling won’t clump over time. A perfectly engineered, premium memory foam middle that provides optimum support and comfort, whilst providing cooling comfort thanks to the innovative airflow system. 1. What size is the Leesa pillow? The Leesa pillow is a standard size (75cm x 50cm x 15cm) that will fit in your pillowcase. First, remove the foam insert from the micro-fibre outer shell. Spot clean the cover only with a mild detergent. Please do not attempt to wash the foam insert. If it becomes stained, spot clean with cool water and air dry at room temperature. 3. Does the Leesa pillow go towards the One-Ten commitment? Yes, the Leesa pillow is a part of our One-Ten commitment, where we donate one pillow for every ten sold. We offer a 100 night risk free trial on the Leesa pillow. We hope you’ll love it but if not you can just contact our customer service team on support@leesa.ie and we will arrange for the pillow to be returned free of charge. We will refund you within one business day of shipping. 5. What’s inside of the Leesa pillow? 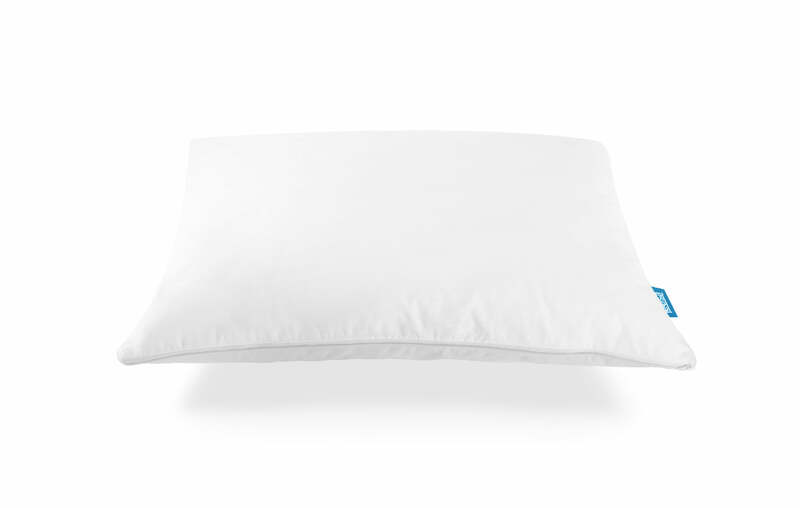 The pillow has a high quality visco-elastic foam core, designed to keep you cool throughout the night. Provide your basic information. Get a decision in real-time. Choose a deposit from 0% to 50% of the price to suit your budget - and pay the remainder over 6 months with 0% APR.